Plus we will have prizes by Knauz and Mini Mania!! Price is $40. To reserve a spot download this form, enclose a check and send it in to the club P.O. Box (listed on the form). Please email Matthew Adams at matt@chicagominiclub.com if you are interested in joining us. The Phil Wicks Driving Academy will hold an event at Blackhawk Farms June 28 and June 29. All makes and models of cars are welcome on Monday, June 28. June 29 is reserved for Mini's. For information about our academy, please go to www.wicksdrivingacademy.com or www.minidriving.com. There are a few slots left on both days. Registration forms can be printed from the site(s) and payment remitted. If you have any questions, please call or e-mail. Also, we have just announced a date at Gateway International Raceway outside St. Louis on July 24. This is in conjunction with Ferrari Club of America. This is not an official CMMC event but at least several of us should be there. 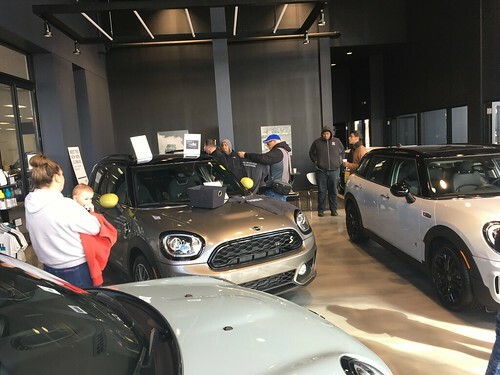 The MINI Club of Chicago is partnering with the renowned Emmons Coachworks to offer club members an exclusive session on how to properly maintain and care for your MINI. The session will take place on June 12th. We'll start at 11:00 am and go until about 2:00 pm. This will be a fantastic opportunity to not only learn from from very experienced professionals but also to check out one of the best and well known car care companies in the US. We'll have much more information in the coming weeks. Until then if you're interested in attending the event please RSVP in the comments below or by emailing our Vice President Steve Rosenblum: steve@chicagominiclub.com.